When it comes to odd brand-licensed product mashups, typically you can count on Japan for a laugh here and there, but today, it's China bringing the chuckles. 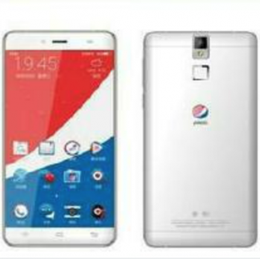 With a Pepsi-branded smartphone. No, I don't know why. But why not? 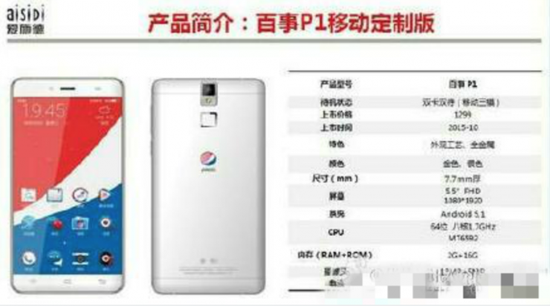 The Pepsi P1 is, by all accounts, an extremely forgettable cookie-cutter Chinese Android phone you'd find on Alibaba for about $150. It has a large 5.5" 1080p display, a MediaTek processor, 16GB of storage, 2GB of RAM, and 13MP/5MP cameras.